I just keep repeating to myself, "This is the last room. I CAN do this." I was originally planning to just replace all the woodwork in the bathroom with new fir, but my initial hunt thru the molding catalogs of our local suppliers doesn't give me much faith I'll be able to find the crown pieces I need. So, I went and took a peek out in the garage to see what we had to salvage. Jeff and I dug around and I discovered quite a few of the pieces removed without breaking. 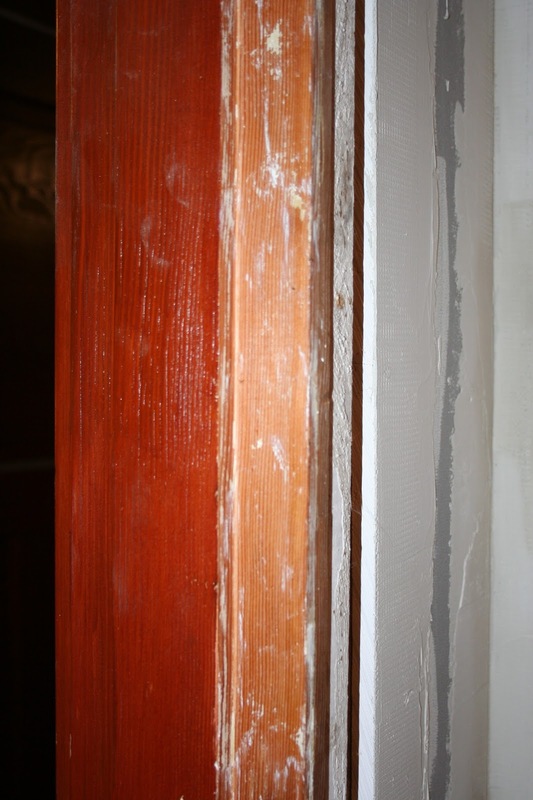 And I was able to find more than enough of the flat trim boards to install around the windows and for the baseboard trim. 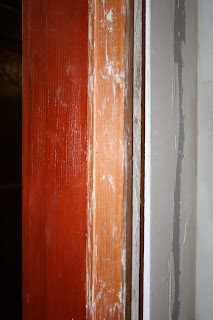 And the door casing removed without breaking (much) so I'll go ahead and strip the paint off that. I really only need to buy a couple replacement pieces and strip the paint off 52 feet of painted trim and we'll be set.